Site Home > About Mission and Ministry > What does it mean to be a Catholic and Dominican college? Some aspects of Providence College’s Catholic and Dominican identity are obvious. The friars in their habits are hard to miss, St. Dominic’s Chapel is located in the very center of campus, and crucifixes adorn the walls of classrooms and offices. Additionally, most students, faculty and staff are Catholic, the 10:30 mass on Sunday nights is always standing room only, and students are required to take classes in philosophy and theology. Other aspects of the Catholic and Dominican identity are more subtle or even unexpected. Catholic teaching guides the investment of the endowment, the enforcement of parietals in the residence halls, and the generosity extended to students and employees in need. Nearly a thousand students volunteer their service through Campus Ministry every year and at all hours someone can be found praying quietly in the chapel. By charter, Providence College was the first college or university in Rhode Island to welcome students of every faith or none, and it has a long, close and continuing relationship with Rhode Island’s Jewish community. Indeed, some of the College’s most devoted teachers and alumni are Jewish. 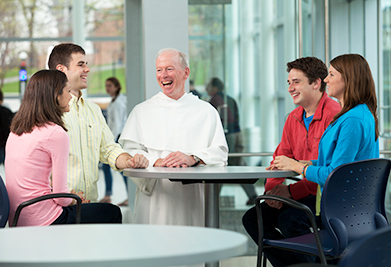 Yet in some ways the Catholic and Dominican character of Providence College precisely as a college is most evident in its approach to faith and reason. For many people, faith and reason stand in opposition to one another; they are black and white, irreconcilable and best kept apart. Not so for Dominicans. In the tradition of St. Thomas Aquinas, Dominicans assert that faith and reason are compatible, complementary, and point to a single truth. There is no opposition between the theory of evolution and belief in divine providence, for example, because how God accomplishes his purposes is a distinct question from why, even as the answers to the two questions are intimately related. Science has every right to try and understand how the universe works — indeed, it is God’s will that the human mind probe creation in order to understand it — and theology has every right to assert that everything that takes place is in service of a loving plan. What remains true is that it is God’s creation. Moreover, while faith is a gift from God, reason supports faith. This means that faith in God is not merely the result of custom, feeling and private choice but can be a thoughtful and reasonable response to the evidence at hand. Indeed, while intimate knowledge of God in himself — Father, Son and Holy Spirit — requires revelation, knowledge that God exists can be arrived at by reason alone. The implications of this assertion of the compatibility of faith and reason for education are profound. Questions, debates and challenges are welcomed, as are people of hesitant faith, different faiths, or even no faith at all. Believers cannot take refuge in the assurances of faith but must learn to provide reasons for what they believe and, when it comes to the classroom, they must pursue biology, history or accountancy with uncompromising rigor and integrity as a biologist, historian or accountant. At the same time, those of questioning or absent faith will be challenged by their studies in the Development of Western Civilization, philosophy and theology. 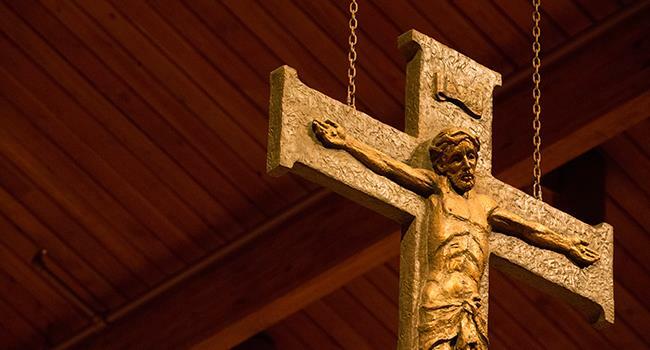 There they will have to contend with an understanding of God that is hardly the sop of comfort that Marx and Freud asserted, and will have to reconsider whether in fact faith in God is a more exacting stance than is non-belief. It should be evident that Providence College aims at something ambitious and critically important. It attempts to provide an education for the whole person — body, mind and soul — that bridges the common divides between matter and spirit, God and creation, faith and reason. 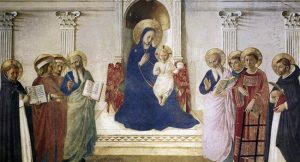 In doing so, it affirms the distinctively Catholic sense of sacrament and grace, and, like the Dominican habit, joins together apparent opposites in a greater unity. If successful, this means that everyone at Providence College will understand that they are made in the image and likeness of God, that their work, love and play can be replete with God’s grace, and that they have a unique role in God’s loving plan, that is, in his providence.